Braces can be an effective alternative to joint replacement operations and painkillers. 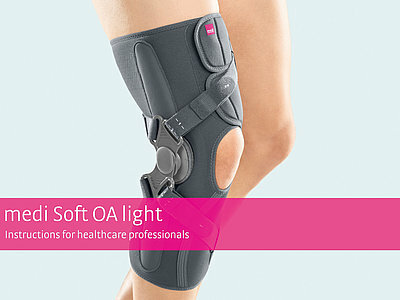 medi is now expanding its range with three knee braces for treating osteoarthritis (OA) of the knee. 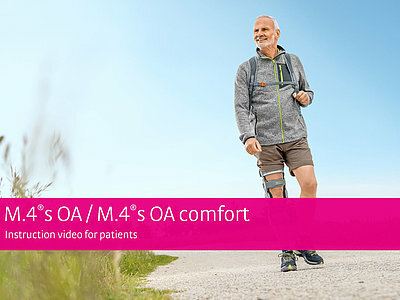 With the new medi Soft OA light, medi Soft OA and M.4s OA comfort, medi offers solutions for different types of patients and stages of osteoarthritis – for patient specific osteoarthritis therapy. 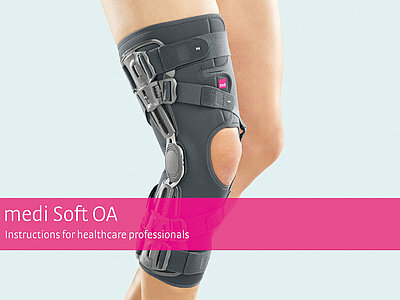 OA knee braces are used in conservative as well as in pre- and postoperative therapy. They are characterised by a high level of user comfort and ensure relief of the affected area. Pain can be noticeably alleviated. This helps mobility and activity in the patient’s everyday life. In the case of knee osteoarthritis, wear causes cartilage damage in the knee joint. This is often caused by the misalignment of the leg axis. This is where the new medi Soft OA light and medi Soft OA orthoses come in, because both work according to the 3-point relief principle. 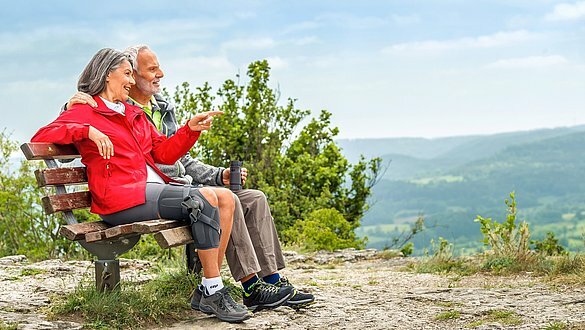 Thanks to the patented, dynamic belt-tensioning, the knee receives maximal relief only when the load is highest – in a stretched-out position during walking or while standing. Putting on the braces is very easy thanks to the split wrap construction on the thigh and the slip-on design. This is particularly beneficial for older patients. Thanks to the intelligent design, both braces are easy to use. 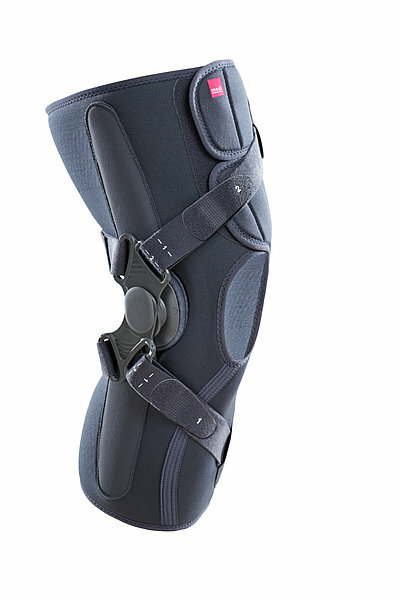 The compressive medi Airtex+ material used on the medi Soft OA light and medi Soft OA stabilises, improves proprioception and increases wearing comfort: It is breathable and wicks away moisture very well. The braces are adjusted to the individual’s leg shape at specialist medical shops or by the doctor. 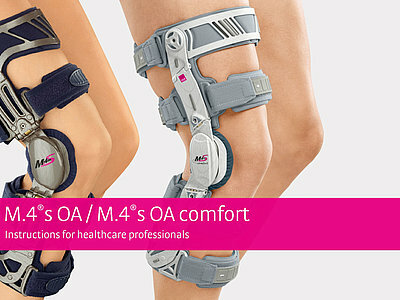 The new M.4s OA comfort braces relieves and stabilises the knee joint. The lightweight and rigid frame construction, as well as the 4-point stabilisation system, give the patient added safety and stability. The effective 3-point principle relieves the knee joint and protects the leg from breaking-away sideways. 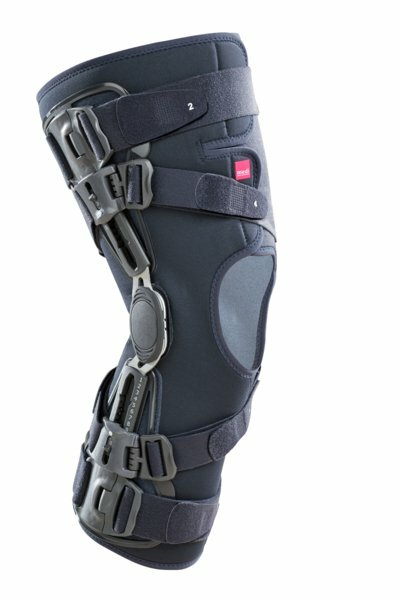 In addition, the varus and valgus adjustment hinges minimise pressure on painful areas, allowing the patient to move more easily in their everyday life. Other features enhance the user comfort. 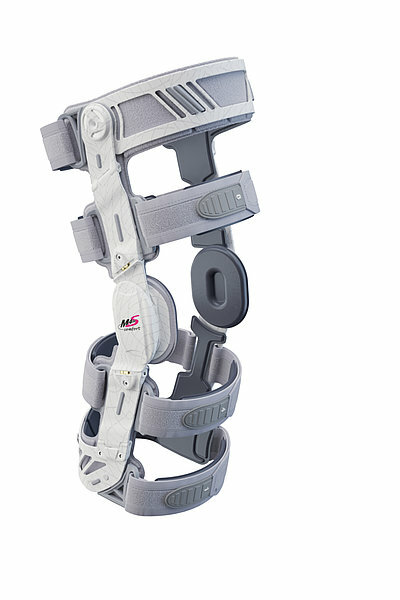 The brace keeps the leg in the correct axis and prevents breaking-away into a detrimental varus or valgus misalignment (bow-legged or knock-kneed). At medi, optimal patient care goes far beyond the products. To provide holistic care, medi also needs to provide patients with comprehensive information, accompany and support them in a variety of ways within their therapy and to support them.